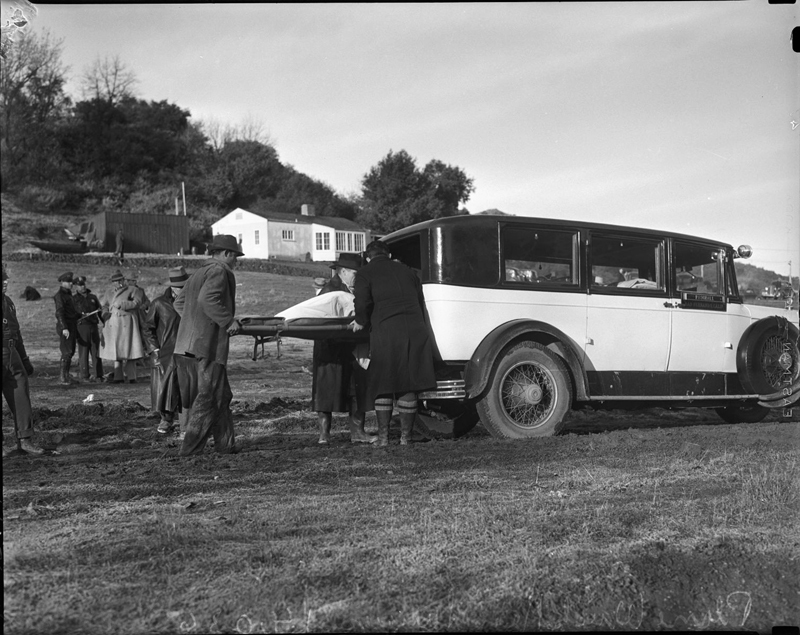 Workers load bodies into the coroner's van following the crash of United Flight 34 on a mountaintop south of Newhall. The plane crashed at 7:38 p.m. Sunday, Dec. 27, 1936, and wasn't discovered until 10 o'clock the next morning, so this is probably Monday, Dec. 28. There were no survivors. SW3604: 19200 dpi jpeg from digital image, Los Angeles Times Photographic Archive, Department of Special Collections, Charles E. Young Research Library, UCLA.